Defined in generated file: tensorflow/python/ops/gen_data_flow_ops.py. 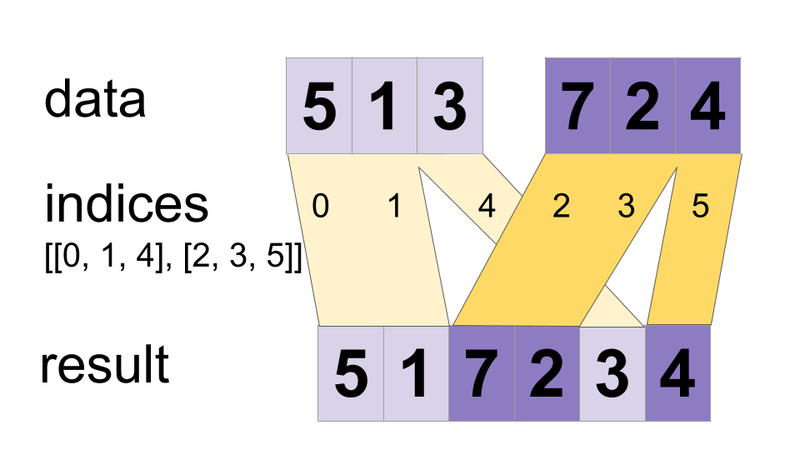 indices: A list of at least 1 Tensor objects with type int32. data: A list with the same length as indices of Tensor objects with the same type.